W Commando were Canada's Beachhead Commandos. They were specially trained to create and maintain order on Normandy's Juno Beach during the D-Day landings. What would confront them was uncertain, so they were broadly trained, including protection against chemical warfare, clearing obstacles with explosives and driving Sherman tanks! However, their main task was to keep the traffic of men, machines and supplies flowing through the beach area without delay. If the supply chain to the advancing Allied armies was interrupted it would provide the Germans with an opportunity to mount a counter attack. Members of W Commando were volunteers from the Royal Canadian Navy. In August of 1943, they were assigned overseas duty to HMS Armadillo on Loch Long in the Clyde estuary of Scotland. W Commando comprised 3 sub-units, W 1, W 2 and W 3, each with 25 ratings / leading seamen and 3 officers all under the combined leadership of an Assistant Beach Master and a Commanding Beach Master. The Commando would remain on the landing beach until the supply chain was better served through the Mulberry Harbours or functioning captured ports. For information on the Royal Navy equivalent beachhead Commandos visit RN Beach Commandos. HMS Armadillo was a relatively small, rugged Royal Navy Combined Operations base specializing in beach commando training. Our induction included a code of requirements for trainees and the issue of British Army uniforms and fatigues with badges to be attached later. We were allocated sleeping quarters in Nissan huts and left to locate the heads (toilets) and mess hall. Unfortunately, we arrived late for supper and went without! 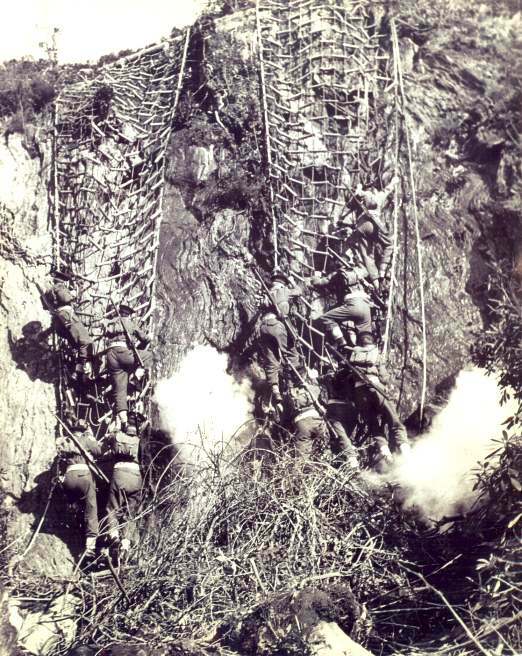 Live ammunition was often used during training exercises, including a crawl under barbed wire while rapid machine-gun fire encouraged us to keep our heads down. On another occasion we had to pass through a detonating mine field on the long assault course. To describe these exercises as stimulating understates its effect on the trainees. In my case I finished one exercise with a bullet hole through my backpack! There were many sessions of unarmed combat between field training exercises. The weapons and survival equipment used in the training had seen better days. 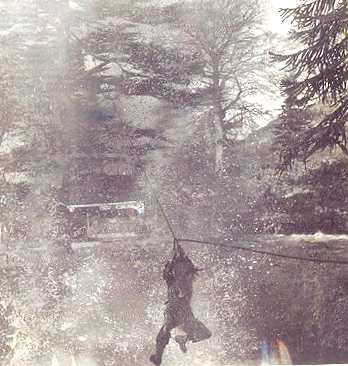 There were frequent accidents resulting in casualties, which the instructors seemed to anticipate. We made many practice night landings from a well-used Landing Craft Mechanised (LCM) and not once did the landing ramp deliver us on to the landing beach. For us it was over the top and into several feet of frigid water. Many items of equipment and weapons dropped in the water were left on the bottom in the interest of survival. After these exercises our sleeping hut was continually cluttered with clothes lines loaded with wet clothes. We completed the course at Ardentinney in February, 1944 and were posted to HMS Lizard in Hove, on the south coast of England adjacent to Brighton. From there we were posted to various Canadian Army and Combined Operation bases throughout the south of England for specialised training. In the Hazelmere area we drove Sherman tanks and other mechanized equipment, practiced dispatch riding on Harley-Davidsons (on the road) and Nortons off the road. Elsewhere we trained in sniping, chemical warfare, flame-throwing, detecting and disarming mines and booby traps, demolition using explosives and even aircraft recognition to study at night. There was a motorcycle course with jumps in an area known as the ‘Devil’s Punchbowl.’ As the name suggests there were many accidents and minor injuries but the instructors showed more concern for the bikes than the riders! The tank driver training was undertaken with enthusiasm and, as it turned out during the Normandy landings, it paid off handsomely by keeping the armoured traffic moving through the beachhead. Any serious congestion on the beaches would have had serious consequences in breaking the supply chain. The soldiers of the Canadian Army regiments stationed at the bases, where we received training, were concerned that our higher levels of discipline and fitness might be adopted by their own commanding officers. One such was the requirement for us to 'double-up' anywhere outside our living quarters, the only exception being if we were on leave. Also, our attitude to food differed greatly from theirs. They tended to discard much of their mess hall food with complaints, while we would often return for seconds, remembering the meagre rations we received on the British bases we'd been to. We underwent a 10 day chemical warfare and flame-throwing course at an army base in the Hindhead area. After the cold winter months spent in Scotland, the weather in the late spring of southern England was balmy in comparison. We lived in four-man bell tents in a valley below the main camp. It had outhouses and water troughs for washing. Around the area there were 45 gallon drums with classified contents and Bren-gun carriers for flame throwing exercises against mock pillboxes, which we were expected to encounter along the beaches of France. The fluid used was a recent development, which later became known as napalm. It would stick to whatever it hit up to a hundred yards distant and continue burning with a very hot flame. Training with mustard gas, often used during WW1, was unpleasant and hazardous. It was dabbed on our hands and arms to illustrate what would happen if we failed to protect ourselves. Liquid mustard gas was also covertly sprayed on the wooden floor of the training lab, resulting in several of us receiving painful burns to our feet as the gas penetrated through the soles of our jack boots. We also discovered that exposure to the gas desensitised our noses. Two of us had been accidentally sprayed with liquid gas on the backs of our fatigues and our necks. The burning pain was instant and painful, so we ran back to our camp to wash it off. It was late in the day so we visited the canteen to have a beer before supper. The canteen was very busy and the warm atmosphere was thick with smoke. On leaving the bar for a table in a far corner we were oblivious to all of the coughing and spluttering going on around us. There was a sudden exodus and we had the entire canteen to ourselves! However, shortly afterwards, an MP wearing a respirator entered and ordered us to vacate the premises. Outside we met the patrons in resentful mood at having had their free time so rudely interrupted... and the incident did not endear us to our Canadian army colleagues either. On returning to HMS Lizard we were relocated to HMS Mastodon at Exbury, Hampshire to provide security on what once was a Rothschild estate. It had been requisitioned by the RN for planning Operation Neptune - the amphibious part of Operation Overlord. There were many high-ranking personnel and visitors during this period and all activity was strictly classified. While not engaged on security patrols, we continued training in the use of small arms and on the nearby Beaulieu River others were engaged in training crews for landing craft for the forthcoming invasion. Many night hours were spent here watching for low flying German aircraft, which were known to be dropping spies in the area. One Junkers 188 was shot down and crashed on the front lawn of the estate. Seven bodies were pulled from the wreckage when its crew was only five. Our searches for enemy agents in the surrounding country only turned up Land Army girls working in the fields. Early in May '44, we were moved to HMS Vectis, an ex holiday camp near Cowes on the Isle of Wight. It was a 'minor' landing craft base and HQ of SO Force J (Juno). I spent much of my time on the firing range practicing with my elderly Lewis air-cooled machine-gun. Above the target bank we could see many of the barrage balloons in the near distance as they drifted above all of the ships anchored in the channel. Each ship had two balloons with dangling cables as protection against low flying aircraft. The sequence of .303 cartridges loaded into the breech pan of the Lewis gun was one ball, one armour-piercing and one tracer. The tracer enabled the gunner to see where he was shooting. The down side to this sequence was that in constant rapid fire the barrel of the gun seriously overheated, so I occasionally had the pans loaded without tracers. The gun was heavy and had a tendency to pull upwards when firing and for better control I preferred to lie down to fire the gun. In any position it was quite hard to control. One of our officers criticized my low firing position and was keen to demonstrate how to fire standing up. I removed the empty pan and loaded one with no tracers. The kick from the gun was much greater than he expected and he could neither control the upward drift or release the trigger! We stayed well out of his way and watched as one of the barrage balloons succumbed to his uncontrollable fusillade as it deflated and fell on to the ship's deck with all of its cables. Much to his discomfort and our pleasure he handed back the gun and left muttering obscenities as he strutted off. It was about a five hour ferry and train ride from our operational base at HMS Vectis on the Isle of Wight to London and a lot longer from there to the small community named Holmrook on the west coast of Cumberland (now Cumbria) some 300 miles further north. Two waiting trucks transported us from the railway station over a short distance to a mansion house, which was similar to HMS Mastodon but considerably smaller. 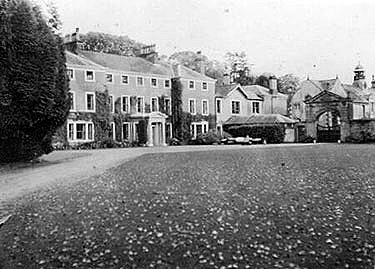 The men were assigned to two temporary out-buildings at the rear of the mansion and on a bank overlooking a fast-flowing river, while the officers had accommodation in the mansion. There was a small mess hall nearby, which provided meals typical of most British bases, but still an improvement over HMS Armadillo in Scotland during the winter. After breakfast we were mustered on the small parade square and briefed on the day's training. With our weapons we marched at the double down about a half mile lane to a beach for explosives training. The beach was cordoned off and three instructors were waiting for us. We were broken into three groups of nine and introduced to various types of explosives such as forcite, cortex and cordite. We were instructed in their use for various purposes, including the amount applied in each application. There were 6 inch diameter wooden poles driven deep underwater at an angle towards the sea with about two feet above the surface at low tide. We were taught how to cut these off underwater using a triple cord of cordtex and a blasting cap. Many of these posts were armed with an explosive device or mine to replicate the Germans coastal defences. We were taught how to disarm these prior to cutting the pole off but, thankfully, dummy explosives were used. In long grass directly behind the beach we were shown how to recognize the vicious anti-personnel ’S’ mines. They were hard to spot and easily triggered devices. If any of their protruding wires was jarred by a boot, a ball bearing dropped down through a canister and detonated a firing pin, similar to a shot gun shell. This blew the canister into the air, where it exploded about ten or twelve feet above ground, spraying some 200 lead pellets in a circle. The only effective action was to let the 'S' mine eject into the air and then lie down over the hole it had created, since the pellets sprayed outwards leaving an untouched circle about six feet in diameter in the centre... easier said than done! There were various simulated concrete German defence structures on the beach for practicing the use of demolition devices. One of these devices was known as a ’beehive’. It was about the size of a large coffee can with three small steel bars, about six inches long, attached around it. Also attached was a length of cortex with a fuse cap inserted into its core. The objective was to fasten the device to the concrete wall by cord, if possible, light the fuse and retire to a safe distance. In about twenty seconds the fuse detonated and a charge fired a white-hot nickel ball through two feet of concrete and then for it to ricochet inside the bunker disabling or killing the gun crew. Back at HMS Volcano in an isolated wooden building we were trained in the detection of booby traps. Such devices were hidden under simulated casualties lying on the floor, attached to furniture, doors and anything else that could be moved. These were small hidden explosives, which detonated at the slightest movement. In the event, we occupied any facility previously occupied by the enemy, we were strongly advised not move anything until the area had been checked and cleared. Two weeks later we moved to Ryde on the Isle of Wight, where we boarded an LCI(L) for the journey across the channel to Juno Beach in Normandy. We took over the positions of ‘P’ Commando, which had suffered a number of casualties. The sight of all the battle cruisers, destroyers, mine-sweepers, landing ships and landing craft was awesome. While the enemy was still shelling and dive-bombing the landing area, the ground combat action had moved some miles inland. There were increasing numbers of German prisoners gathered on the beach and many of them with soiled field dressings on their wounds. As expected, we were busy night and day guiding in landing craft and directing the steady flow of incoming troops, tanks, other armoured equipment and supplies across the lading beach. We also helped the wounded and prisoners into empty landing ships to be taken to England. My weapon was always at my side, ready for firing in the event of counter attacks and for firing at low flying enemy aircraft intent on strafing the beaches. I found a vacant enemy bunker in the sand dunes behind the beach, which was close enough for me to use for short naps during any lapse in the traffic. The accommodation comprised a bed made up of twelve German army blankets and a large picture of Betty Grable taking a milk bath; I had stumbled into a luxury suite! One night when unloading Churchill Tanks from an LCT, we came under 200mm railway cannon fire from Le Havre. My legs became trapped in the grates of the loading ramp and I was taken to a nearby Mobile Army Surgical Hospital (MASH) station with a makeshift airfield, from which I was flown to a hospital in England. When I could walk with a crutch I returned to Vectis and then to HMS Dolphin at Gosport for transport back to Normandy on a motor launch (ML). We could see shell fire behind the beaches as we arrived off the coast at Arromanches and the young captain decided it was unsafe to approach the beach. However, fortified by a couple of shots of navy rum, the cook offered to row me in the ML's 8ft skiff. There was more danger from landing craft manoeuvering in the area than from shellfire and we made it safely. This was possibly the only rowboat landing made during the whole invasion! While making my way from Gold Beach north to Juno, I was recruited to drive a Sherman tank up to the combat lines. After two days I returned to my unit on Juno Beach and, in all, W1 Commando spent 6 weeks on the beach and kept operations in good order. 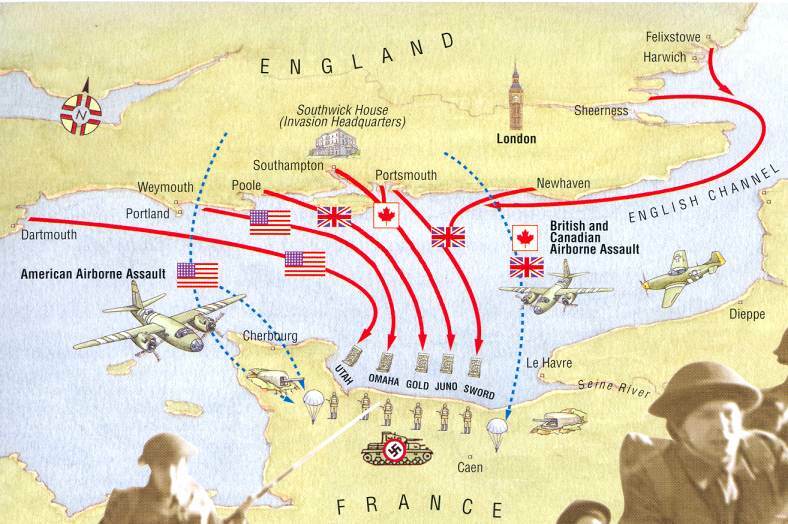 The Mulberry Harbours and the capture of French ports provided other more convenient supply routes and the volume of traffic across the landing beaches declined. W Commando returned to HMS Vectis, where we were officially disbanded. Shortly after, we boarded RMS Queen Elizabeth at Southampton bound for New York with three thousand American casualties and four thousand German POWs for company. I have had an everlasting deep sense of pride over successfully completing a most arduous military training schedule in the mountains of Scotland and ensuring the supply chain over Juno beach was kept open for 6 weeks following D-Day; the greatest amphibious invasion force in history. 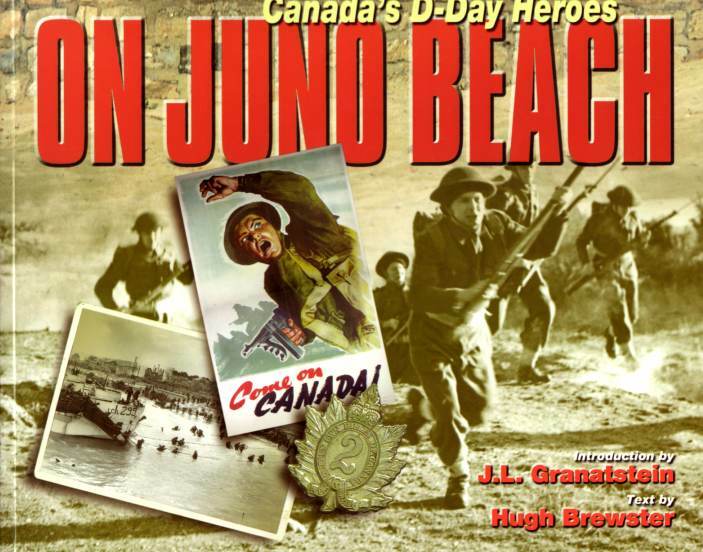 On Juno Beach; Canada's D-Day Heroes. The book is available as a paperback in English and in French from Chapters, Indigo and other bookstores everywhere. This book is also usually available from ABE Books (see 'books' link below). E G Finley's full account of 'W' Commando is available courtesy of his Estate (Catherine Rae Finley) via the good offices of Richard V. Laughton. Click here and then click on the PDF link in the "View the Book" box (top left of page). Canadian Commandos. I am looking for any information regarding Canadian soldiers being recruited for "Commando" units beginning in Canada in late 1940. 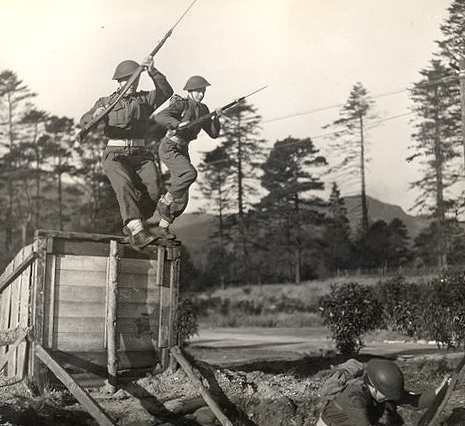 After volunteering, training continued in Scotland in early 1941. I have a personal document outlining the presence of British Officers and NCOs at Camp Borden, Ontario on such a recruitment drive with Canadian soldiers volunteering (about 100) from a number of Canadian regiments and undergoing initial Commando training in Nova Scotia (Camp Debert), Newfoundland and the Hudson Bay area after Christmas 1940 and into early 1941 (and maybe later). I'd also like to know how they would've been integrated into British units once in the UK. 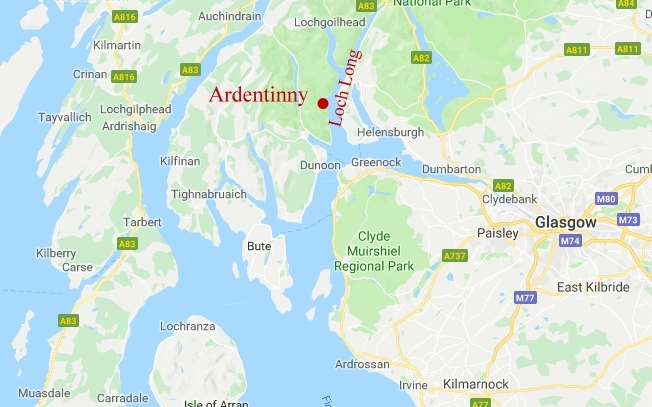 I am following a thread of a story which "may" include Glenmore Lodge in Aviemore or another camp nearby, as well as "another camp in Scotland" (undetermined at this point). Glenmore Lodge may indicate SOE involvement, but the source states "Commando" specifically, not SOE. He also mentions 8 small raids into Norway in early 1941 and 1 in Holland (the Walcheren area) and that many/all of these small raids were not documented and the participants "sworn to secrecy forever". Training was completed "at the end of January 1941" and raiding began shortly thereafter. Researching the standard Commando records reveals CLAYMORE, but no other raids during this time period (Feb-April 1941) in any of these locations which leads me to 1 of 3 conclusions: (1) they never happened (2) they were CDO raids never acknowledged for very good reasons and required "plausible deniability" for governments in exile and/or (3) they belonged to another organization....SOE or "other"....what "other" I have no idea. 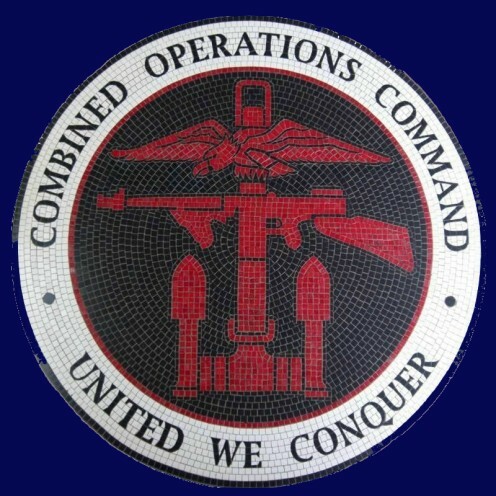 A friend of the source was killed on the 4th or 5th raid (a British soldier not a Canadian) which leads me to the obvious conclusion it was a composite unit. I have found no evidence of this man in CWGC records or elsewhere. Any thoughts would be most heartily appreciated. I've been through many records PRO Kew, Ottawa, Oslo and interviewed all sorts of folks over 15 years with only 2 tangible pieces of evidence surfacing; a letter to me regarding the details and the results of an interview with a Norwegian Resistance member in Oslo. I've had other small successes, but nothing I can hang my hat on definitively. The names of the two participants mentioned above are: 1) Pte (or LCpl) James F. Connell (parent regiment: Royal Regiment of Canada). 2) John Henderson (England) (rank and parent regiment unknown, but likely Pte, LCpl or other junior rank). Henderson was supposedly killed on operations in Norway during the period mentioned above (Feb thru April 1941). The author of this page, Bill Newell, sadly passed away on Monday March 5th 2012. He was an enthusiastic contributor to this website and offered every support and encouragement almost since the website was established nearly 20 years ago. He is sadly missed.